After receiving a surprisingly big response to my i used to be fat post, I wanted to start posting helpful tips. One being, calories are crucial, but remember everyone is different. You may be standing tall at six feet, or you may be on the shorter side. You might have an active job, or you might sit at your desk all day. There are men and there are women. All of these factors contribute to how many calories you should chow down on each day. I never paid attention to calories before, until I read up and realized how much they contribute to that number blinking on my scale. First off, use a calorie calculator to figure out how many calories you need each day. 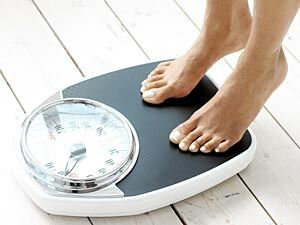 If you're trying to lose, gain, or maintain weight, this calculator will be incredibly helpful. It's easy. Just plug in a few numbers and answers, and it spits out your ideal number. I use this calculator off of the Mayo Clinic site. After learning how much I am supposed to be eating, little by little I was able to knock off a couple hundred cals each day, whether through diet or work outs. Soon enough, I saw results. Don't rush it. Go slow, and never ever starve yourself. Typically, women should not dip below 1200, and men should not dip below 1800. This is all about moderation, and becoming familiar with your body and what you are putting in it. A little smidgen of adjustment in your life can make a huge difference in the long run. If ever in need of support, like overcoming a cookie-dough craving or needing motivation to hit the gym, I'm here!